10 in. 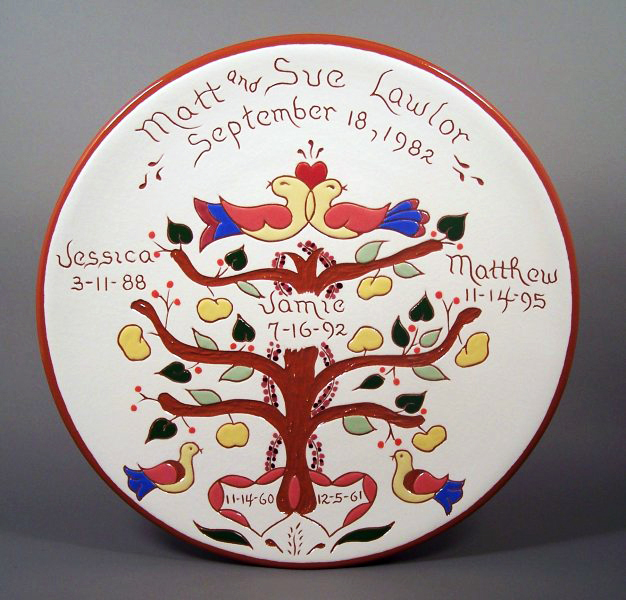 Family Tree Plate – $65. Here is another version of the tree plate. This is an especially personal piece with plenty of options for the perfect memory. Together we’ll put all your ideas in place.